Starting to think about what to wear to prom? Well, look no further! Here at Girl Meets Dress, we have over 4,000 dresses for you to choose from! Have a browse through our ‘prom’ section where you will see many dress from all your favourite designers! This blog will feature our 4 top picks for prom dresses to hire in Birmingham! The perfect prom dress. Self Portrait dresses are the ‘it’ dresses to be seen in at the moment! This Self Portrait dress is crafted from paisley lace the Self-Portrait midi dress features a fully wired bodice with a sheer waist trim and full skirt to create a flattering, hourglass silhouette. Combined with delicate paisley lace, an elegant v-neckline and barely there straps this Self Portrait dress is perfect for almost any formal occasion, especially for your prom dress! The Bailey Maxi dress by Gorgeous Couture is a beautifully constructed and bang on trend gown. One shoulder is your ticket to style success! A simple yet stunning choice of prom dress! 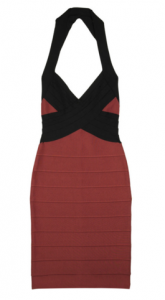 This beautiful backless bandage dress from Hervé Léger is an update on the classic style. It would look great with black patent accessories and on colder nights pair with opaque tights and chandelier earrings for standout evening style. Rent a Herve Leger dress and look gorgeous in your prom dress! 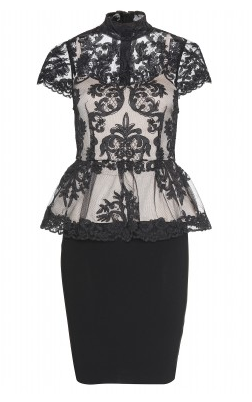 This gorgeous black lace dress from Alice + Olivia has as a lace bodice and playful peplum adorn this body skimming silhouette for glamorous results we love. This dress is the perfect choice for prom. So why not rent a dress for prom! Tags: Features. Alice and Olivia, as seen on celebrities, Ascot dress rent, ball gown rental, BBC Proms 2013, best prom dress, Black cocktail dress for rent, Celebrities in Self Portrait, cocktail dress rental, designer dress hire, designer dress rent, designer dresses uk, Gorgeous Couture dress, Herve Leger Bandage dresses, herve leger bodycon dresses, herve leger dress, Hire a Self Portrait Dress, hire alice and olivia dress, hire designer dresses, Hire Gorgeous Couture Dresses, hire herve leger dress, Prom, Prom dress, rent prom dress, rent prom dresses birmingham, rent Prom dresses in Newcastle, rent prom dresses leeds, rent prom dresses manchester, rent prom dresses online, self portrait dresses.